Volkan Özdemir is a Swiss mixed martial artist of Turkish decent born in September of 1989. He has also competed in kickboxing and is currently competing in the UFC light heavyweight division. Oezdemir befriended Alistair Overeem when he visited the Netherlands to train at the Golden Glory gym. He has also competed in BJJ. He has a 5-0 record in Kickboxing. 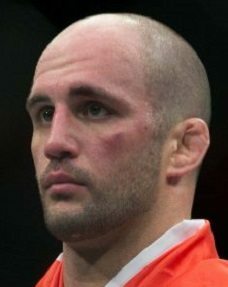 Volkan Oezdemir made his MMA debut in September of 2004 at Shooto – Switzerland 7 and defeated Martin Vath by TKO (punches). He kept winning eight more fights, seven of them by stoppage. In this stretch he also won the heavyweight tournament belt at WKN Valhalla: Battle of the Vikings Tournament, by winning 3 fights in one night. Oezdemirs first and only loss at time of writing came at Bellator 115 against Kelly Anundson by submission (neck crank). 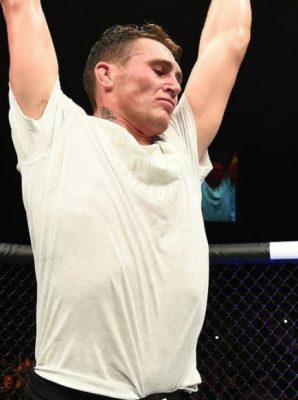 He won two more fights before he got signed to the UFC. Volkan Oezdemir made his UFC debut against Ovince Saint Preux at UFC Fight Night 104 – Bermudez vs. Korean Zombie. Oezdemir won by split decision. His next fight was against rising contender Misha Cirkunov, who Oezdemir finished in 30 seconds by knockout. In Oezdemir’s most recent fight he fought Jimi Manuwa at UFC 214 – Cormier vs. Jones 2. Once again “No Time” won by knockout in the first minute of the first round. At time of writing Volkan Oezdemir doesn’t have a fight scheduled.